Telethon Speech & Hearing today welcomed WA Minister for Environment and Disability Services, the Hon. Stephen Dawson MLC for a Lotterywest grant presentation in Wembley. 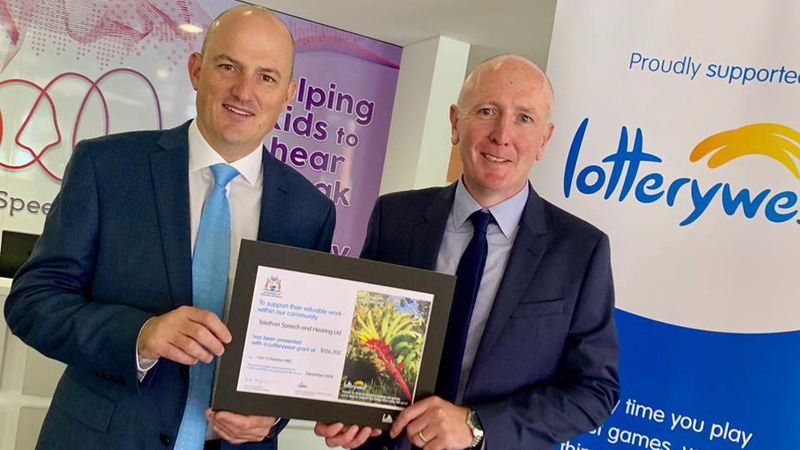 Telethon Speech & Hearing received $126,000 to help consolidate its early intervention and support services through building alternations and refurbishments. The grant allows the centre to provide a safer, more productive and family-friendly environment for families with hearing, speech and language needs. The grant was accepted by Telethon Speech & Hearing CEO, Mark Fitzpatrick, pictured here with Minister Dawson.